Recto: a study for the Trivulzio Monument, with the base and sarcophagus vaguely indicated; there is a vague sketch of a horse and rider, lower right. 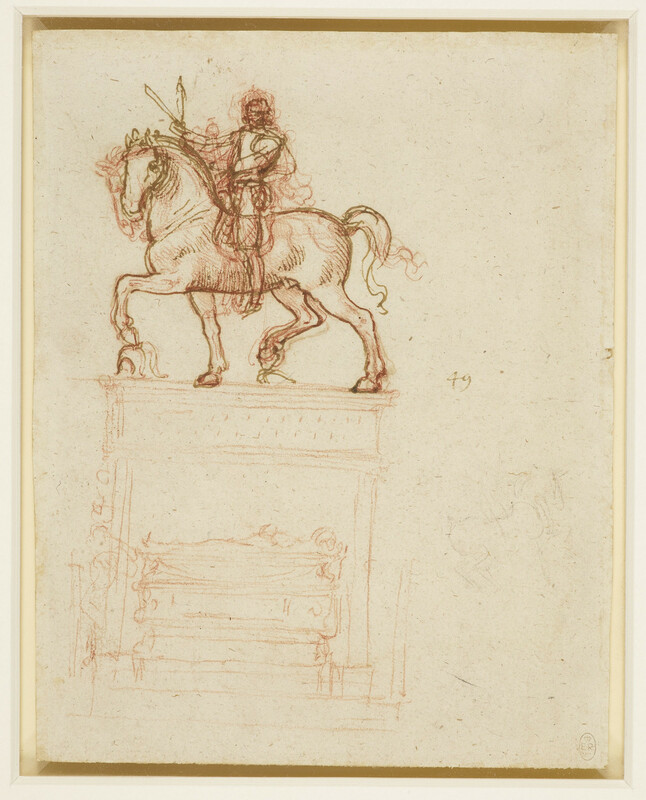 Verso: a partial tracing through from the recto, with the suggestion of a rider and a pedestal. Probably for an undocumented French monument, and done ten years after the recto.